"So what are vampires like?" Strand has unveiled a trailer for an indie film titled The Transfiguration, which premiered at the Cannes Film Festival last year. This film is actually from America and is the feature debut of filmmaker Michael O'Shea, who tells a very odd vampire fable about a loner kid from Brooklyn who gets a taste for blood. Eric Ruffin stars, along with Chloe Levine as the young girl he befriends. It's hard to really call this a vampire movie, because the vampire / drinking blood aspect of it is part of the plot in a mysterious way. Is he really a vampire? Or is it all in his mind? You'll have to watch this to find out. I saw this film at Cannes last year and I didn't really enjoy it that much, though I admire the filmmaking anyway. 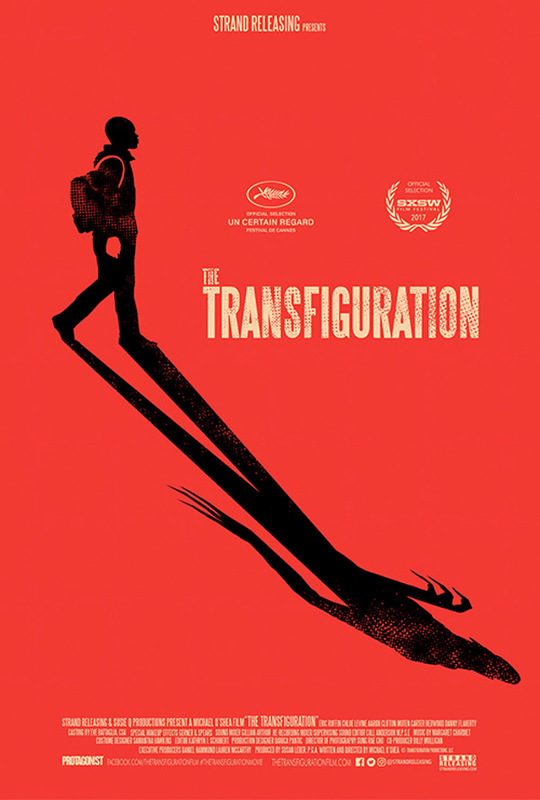 The Transfiguration follows troubled teen Milo who hides behind his fascination with vampire lore. When he meets the equally alienated Sophie, the two form a bond that begins to challenge Milo's dark obsession, blurring his fantasy into reality. A chilling portrait of violence, The Transfiguration is an atmospheric thriller set against the grit of New York City. The Transfiguration is both written and directed by American filmmaker Michael O'Shea, making his feature directorial debut with this film. It first premiered at 2016 Cannes Film Festival last year, in the Un Certain Regard category. It's also playing at the SXSW Film Fest this month. Strand Releasing opens The Transfiguration in select theaters starting April 7th this spring.